Understanding the technology, concepts and terminology in Elevators, Escalators and Moving Walkways systems. Recognizing different types, components and accessories of Elevators, Escalators and Moving Walkways systems. Specifying correctly any type of Elevators, Escalators and Moving Walkways systems. Overview Of Elevator Design And Supply Chain Process. ASME A17.1: American Society of Mechanical Engineers Safety Code for Elevators and Escalators. ASME A17.2.1: Inspector’s Manual for Electric Elevators. ASME A17.2.2: Inspector’s Manual for Hydraulic Elevators. ASME A17.2.3: Inspector’s Manual for Escalators. 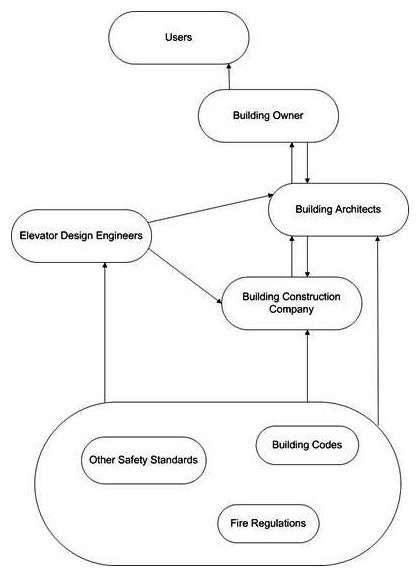 ASME A17.3: Safety Code for Existing Elevators and Escalators (For designing changes to existing Elevator/Escalator Systems). 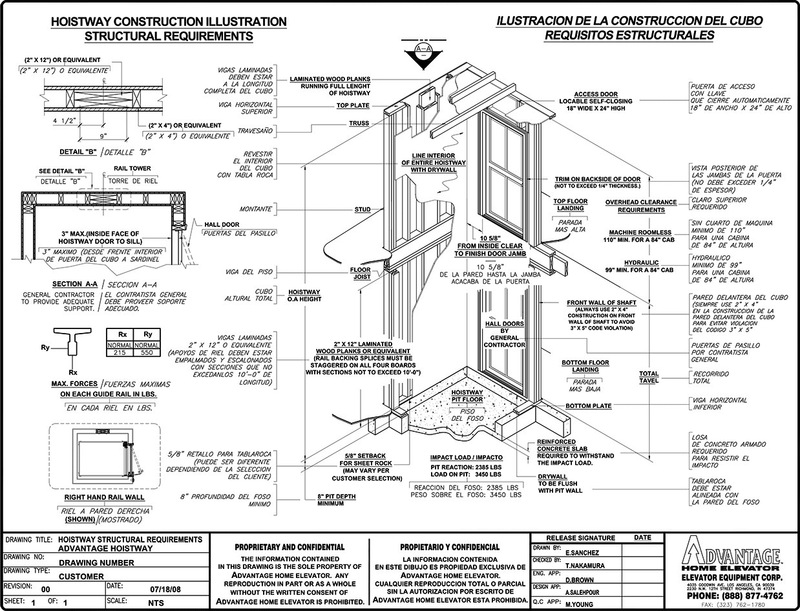 EN81–20: Safety rules for the installation of electrical elevators. EN81–21: Safety rules for the installation of hydraulic elevators. EN81–70: Accessibility to lifts for persons including persons with disability. EN81–72: Safety rules for the construction and installation of lifts—Part 72: Firefighters lifts. BEC-2018 Code of Practice for Energy Efficiency of Building Services Installation. BS 5655: Part 6: Code of practice for the selection and planning of new lifts. BS 5655: Part 7: Specification for manual control devices, indicators and additional fixings. BS 8300: Design of buildings and their approaches to meet the needs of disabled people. BS EN115 (1995): Safety rules for the construction and installation of escalators and passenger conveyors. CIBSE Guide D: Transportation systems in buildings. ISO 4190, Part 6: Planning and selection of passenger lifts to be installed in residential buildings. ISO 4190–1: Lift installation—Part 1: Class I, II, III and VI lifts. ISO 4190–2: Lift installation—Part 2: Class IV lifts. Gina Barney s' Research papers and lectures. The two terms “Elevator” and “Lift” are typical and have the same meaning but the term “Elevator” is used in US and Canada while the term “Lift” is used in Commonwealth countries. To save time and money when be used in office and other commercial buildings to aid the efficient movement of the occupants around the building when performing their work tasks. To make the high rise buildings and skyscrapers suitable places to work, live or receive a service. We can say that lifts must be like toilets, they should be available and easy to use without a long waiting time. Unfortunately this is not always the case and some designs may result in the installation of a non-efficient lift system. Therefore, learning how to design an efficient lift system becomes a necessary especially in high rise and complex buildings and that is what we will explain in this course. The Traffic Analysis and Design Part. This is the part where different electrical components of the elevator system must be designed and selected to suit the project under design like drive system, controllers, signaling system, and motors. This is the part where different mechanical components of the elevator system must be designed and selected to suit the project under design like ropes, rollers. Guide rails, cabin frame, breaking system, counterweight and gear box. 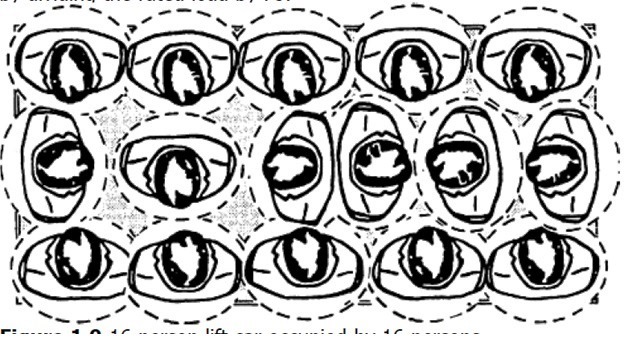 This is the part where the designer will study the population distribution in the building and their predicted pattern of flow within the day. It is important that the architect or planner must take the results from (3) design parts in above at a very early stage and not after finishing the structure design of the building to make suitable building core area and suitable space for the entrances, cars and shafts of the lift system. In this course we will focus only on the third part “The Traffic Analysis and Design”. The good design of each part of the Elevator System Design Process will result in getting an efficient elevator design solution. As a general rule, the target of any engineering design process is finding a compromise between performance and cost of design to get the most efficient and economic design solution. The design must ensure the safety and smooth operation of the elevator system,The design must be manufactured easily and feasibly. It is essential that all those parties must have a clear understanding of their responsibilities and the communications go on between them to get an efficient and safe elevator system (see Table-1 and Fig.1). The Efficient lift system design is the result of a team work between above parties to get a better sized lift system design. Step#10: Fabrication, Delivery, Installation, Inspection, Commissioning and Handing Over Of the Elevator System. 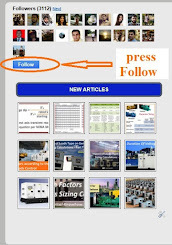 The (10) steps for making an Efficient lift system design are explained in below. The Building architects communicate with the Building owner and vice versa to know all the needs, expectations and requirements of the owner from the elevator system. Location of special floors (meeting floors, restaurants…). Which type of elevator hoist mechanism to use? Minimum speed of the elevators. 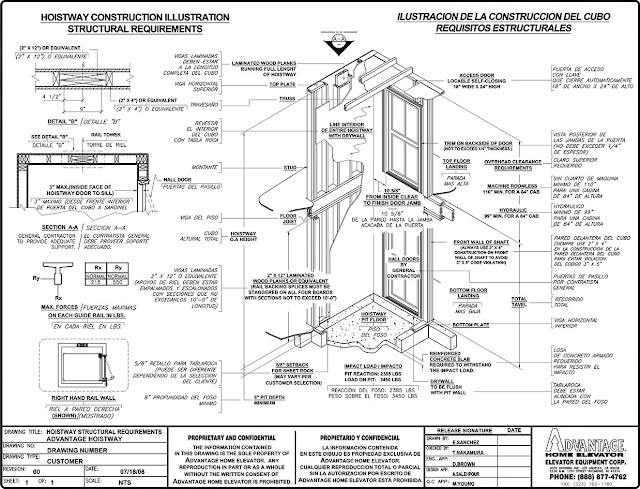 The above design data must be based on the rules and regulations created by local authorities, public organizations, Building codes, fire regulations, the American Disabilities Act (ADA) and international specific rules like EN81 and ASME/ANSI A17.1 which give detailed documentation of the design criteria which must be met. Architects to determine the total vertical distance that the elevator must travel which helps Elevator design engineers to determine the correct type of system to employ. Hydraulic systems, for example, generally support no more than six floors while electrical traction systems are appropriate for much taller hoistways. Architects to determine Minimum Floor Height which represents the landing-to-landing distance, which will help Elevator design engineers program the elevator’s movement control and identify any limitations on the car’s size. Architects to determine the width, depth, and height of the hoistway and provide these data to the Elevator design engineers with. If the shaft structure is already in place, Architects will provide these data to Elevator design engineers. If not, and we deal with new building, it is easiest to plan the structure so that it can accommodate a standard elevator system with a standard Hoistway Dimensions. Architects to determine the width, height and depth of the entrance which depend on the application of the elevator. For example, hospital elevator entrances are generally 4 to 5-feet wide and 7-feet tall to accommodate any medical equipment. Architects to coordinate with the elevator design engineers to determine the car dimensions which depend on the application and the desired capacity, in addition to the landing-to-landing distance. For example, passenger elevators can range from 6 to 7-feet wide and 4 to 9-feet deep, representing a load capacity range of 2,000 to 5,000-pounds. It is important that the architect or planner establishes the lift system required at a very early stage and not after finishing the design of the rest of the building. Unfortunately it is often the case that the architect responsible for the building conception will not have taken professional advice from the elevator design engineers / manufacturers and may well have fixed the building’s core dimensions, thus limiting the space available for the lift system or, even worse, may have defined the number of shafts, their dimensions and travel. The Building architects and Construction Company convey all the above data from step# 4 to the elevator design engineers /manufacturer to select the suitable design of the elevator based on these data. The building architects to provide space and structural support drawings for the elevator system that meets the regulations, rules, owner expectations and elevator design engineers’ requirements. The building architects to communicate with the elevator design engineers/manufacturer to ensure that the structure drawings and elevator design are compatible without any contradiction. The building architects must communicate with the construction company to indicate how the building will be built with the elevator system included in the design by providing the space and support drawings that are needed for the elevator to function in its intended way. The elevator design engineers /manufacturer convey the catalogs indicating features and functions of each part in the elevator system to the building architects and help them choose the elevator and its accessories that best fits their needs. 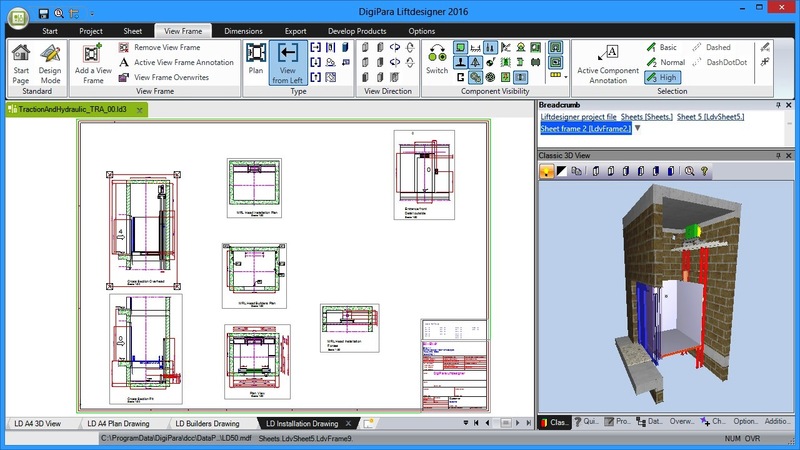 The building architects to make design options for the hall entrance, cab interior, and user interface controls and convey these data to the elevator design engineers /manufacturer to prepare the final specifications and commercial proposal. The elevator design engineers /manufacturer to Define elevator’s detailed specifications and prepare the commercial proposal. 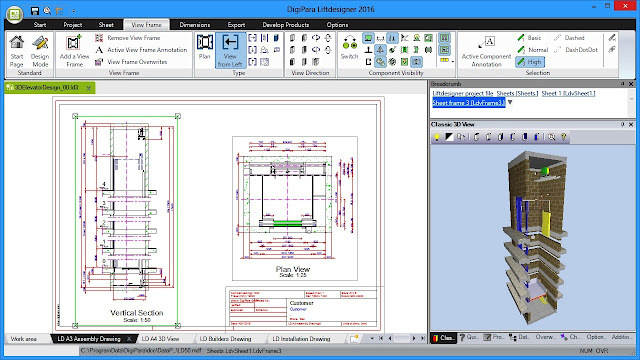 Elevator Design Engineers/manufacturer to communicate with the architects to ensure that the elevator rules and regulations are met in the specifications. The building architects communicate with the owner to ensure that the specifications of the designed elevators meets all the needs and expectations of the owner as well as meeting all safety standards. The elevator design engineers /manufacturer Communicate to the Construction Company to Convey the specifications required for the installation of the elevator in the building. The building architects and the Construction Company to review and approve the commercial proposal submitted by the elevator manufacturer and prepare the contract. After the Construction Company’s approval of the elevator manufacturer’s contract, The elevator manufacturer submits the design and production drawings for approval by the building architects and the Construction Company. The construction company Communicate to the architects to ensure them that the elevator rules and regulations are met and how the building will be built with the elevator system included in the design. The construction company to communicate with the elevator design engineers to ensure that the structure drawings and elevator design are compatible without any contradiction. Inspect, commissioning and handing over the elevator system to the building owner with the help of a reputable inspection firm (third party). Steps#2&3 will be explained in detailed throughout this course. In the next article, we will explain the concepts and methods of traffic planning, design and analysis. Please, keep following.